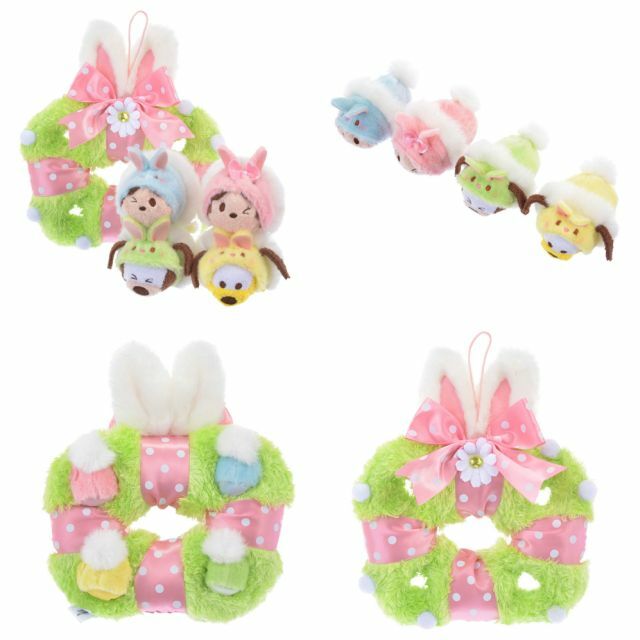 For the first time ever, there will be an Easter ring for a special set of 4 tsum tsums. Usually a set comes in a carrier bag, but the ring format has become more prominent since Christmas and Valentine releases so it is a pleasant surprise to see it once again. The wreath’s main body is a spring grassy green wrapped with a pink satin ribbon with white polka dots. To top it all off is a well-placed daisy in the centre and a pair of white rabbit ears. The wreath contains four pockets which sits Mickey, Minnie, Goofy and Pluto. These four tsums are exclusive to the set and not sold separately. Individually available for sale are five tsums in Daisy, Donald, Chip, Dale and Pooh. 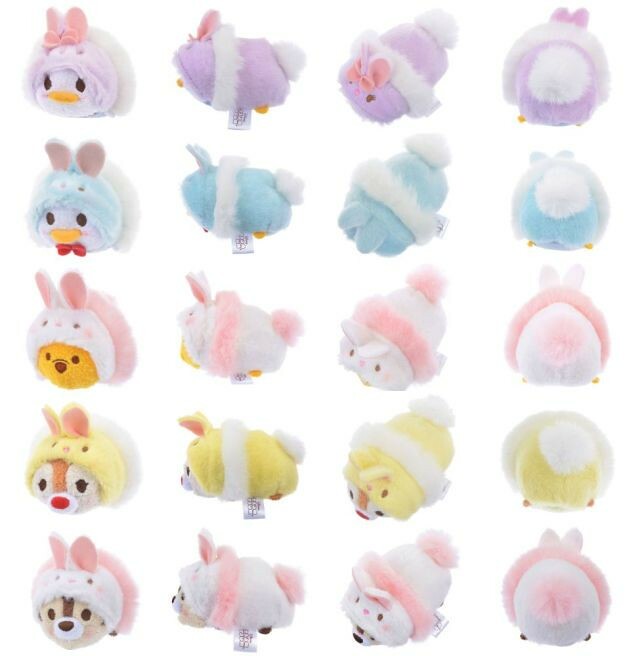 2017 Easter tsums take the shape of rabbits in a lovely pastel palette.What is key to note is that the ears curve inwards as opposed to the previous tsums’ flat ears, adding depth to a rather simple body. While no patterns or designs can be found this year, it is made up for with the very fluffy lining that rings around each tsum tsum’s neck. Only Pooh and Chip have a pink lining while the rest have white. 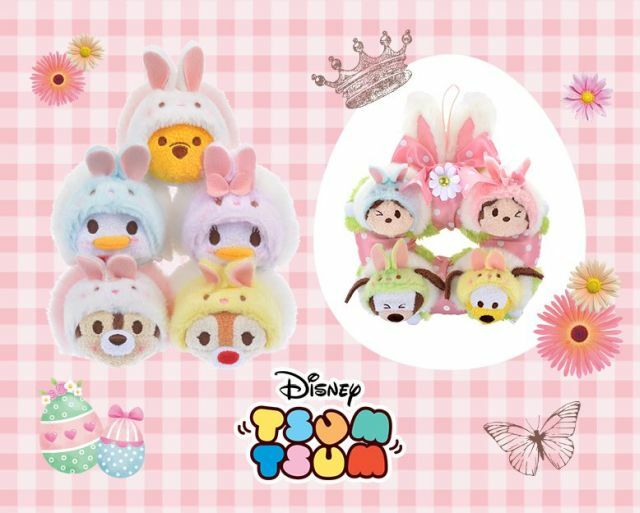 Easter tsums will be coming to Disney stores across Japan on March 17th.